“Photography came out of painting, and now it is returning to it,“ said British artist David Hockney. 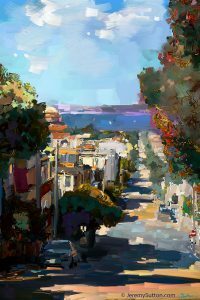 In this 4 day workshop, you will learn a practical step-by-step workflow for using the powerful paint program Corel Painter 2019 and a Wacom tablet to create expressive paintings based on your photographic imagery. This workshop will teach you all the important basics: how to import a photo, how to understand, choose and control brushes and art materials, how to pick color, how to use cloning and tracing paper, how to work with layers, and how to save and export your imagery. Jeremy shares techniques, tools and insights from his more than twenty-five years of experience and expertise as a professional artist using the Painter program. His teaching style is lively, encouraging, enthusiastic and full of positive energy! This workshop will empower you to create beautiful painterly expressive works of art from your photos that reflect your unique interpretation and viewpoint. 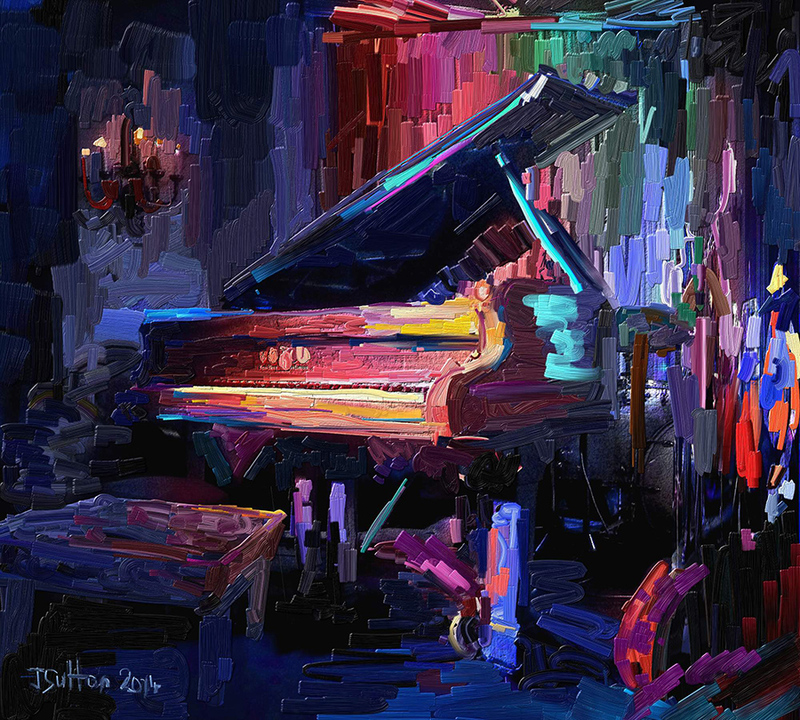 Digital painting pioneer and Corel Painter Elite Master Jeremy Sutton was born in London and is based in San Francisco. Jeremy studied life drawing, sculpture and etching at the Ruskin School of Drawing and Fine Art, Oxford University while earning a degree in Physics (and developing black and white photographs in the Pembroke College darkroom). After moving to The Netherlands he studied lithography and life drawing at De Vrije Academie, The Hague. In 1988 he moved to the heart of Silicon Valley, California, where he was introduced to digital paint in 1991 and has been exploring the digital art medium ever since. Jeremy has used Painter since version 1 (1992) when it was Fractal Design Painter. Throughout the 1990s he demonstrated Painter for Fractal Design worldwide – from Tokyo to San Francisco. He has been a long-term member of the Corel Painter Advisory Council and Beta Test Program. 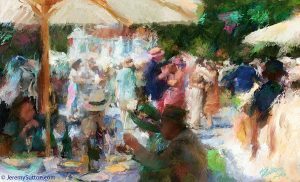 He has created many custom brushes for Painter, including the recent Cracked, Splish & Splash and 1889 Post-Impressionism brush sets. Jeremy is the author of six books on digital painting, including the Painter Creativity: Digital Artist’s Handbook series, and teaches digital painting workshops worldwide, including at the Victoria and Albert Museum, London. He has been a platform speaker at many international conferences, including WPPI, Imaging USA, SIGGRAPH and Macworld, and has taught Painter to professional photographers at photography schools across the nation. He has performed live event painting at hundreds of venues and events worldwide, including seven weeks with the Cirque du Soleil TOTEM show in San Francisco, and at the Smithsonian American Art Museum’s “America Now! Innovation in Art” event in Washington DC. 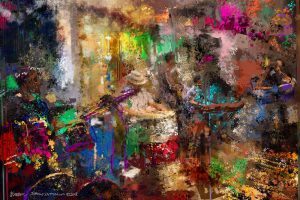 Jeremy was the featured visual artist painting live in digital and traditional media on stage with the Birdland All-Stars “Art of Jazz” east coast tour. From Photographic Impression to Artistic Expression!